The Australian Embassy’s Chargé d’Affaires, Paul Stephens was pleased to mark Australia’s national day with the launch of Australia now ASEAN 2019. On the occasion of Australia’s National Day, Australian – Thai Chamber of Commerce invited Australian – Thai community to celebrate all thing Australians under the theme of ‘ Travelling through City, Beach and Outback’, displaying point of interests and iconic symbol from each State as well as famous movie poster and all-time favorite Australian songs album cover. The guests were overwhelmed with a delicious buffet of Australian food prepared by Sofitel’s Aussie Executive Chef and accompanied by Australian wine, whilst enjoying great DJ music and Aussie singing legend Deni Hines & her band The Soul Crew who set the stage on fire. 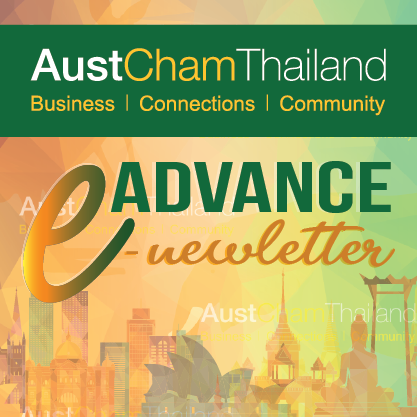 The Consulate joined about 150 others to celebrate Australian Day 2019 in Chiang Mai. Thanks to Yummy Restaurant and Tony for hosting this event. There was lots of food, Aussie treats, music and entertainment from Tony and the Aussie John Band, photo opportunities & fun. Thanks to community supporters the Consulate held a lucky draw for 3 prizes – Rimping Supermarkets Australian Food Pack; the Elephant Parade for Aus Flag Elephant & workshop vouchers and the Australian Embassy for other Gifts. It was a wonderful, relaxed and fun evening for Australia Day in Chiang Mai. The Australian Consulate-General in Phuket was pleased to host an Australia Day reception for 2019. Among the guests was Governor of Phuket Mr Phakaphong Tavipatana, Vice Admiral Sittiporn Maskasem Commander Third Area Naval Command, Lt Gen Pongwut Pongsri Commissioner Royal Thai Police Region 8 and Australian Embassy Chargé d’affaires Mr Paul Stephens. Some staple Aussie sweets made an appearance, too!